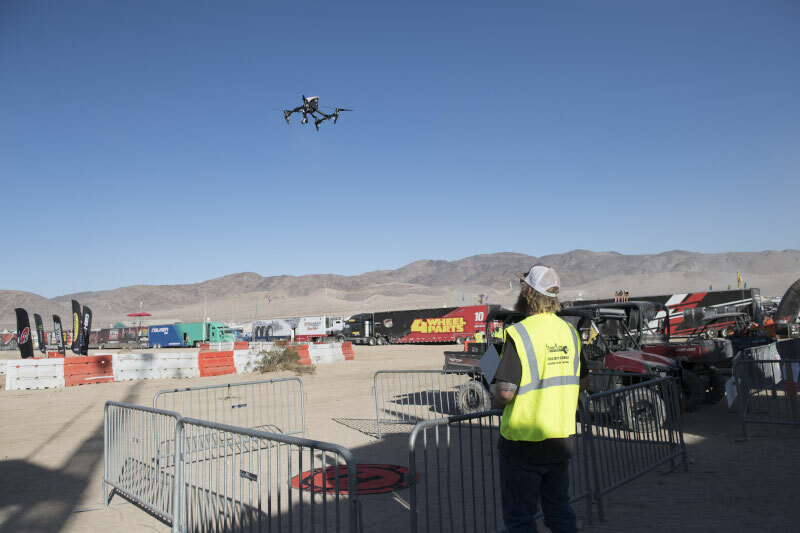 More than 2 million of people watched the King of The Hammers 2018 live streaming. But what's behind all this? This is what I will explain in this article. As you know, every year in the Johnson Valley desert the "base camp" of the King of the Hammers rises from nothing Hammertown. 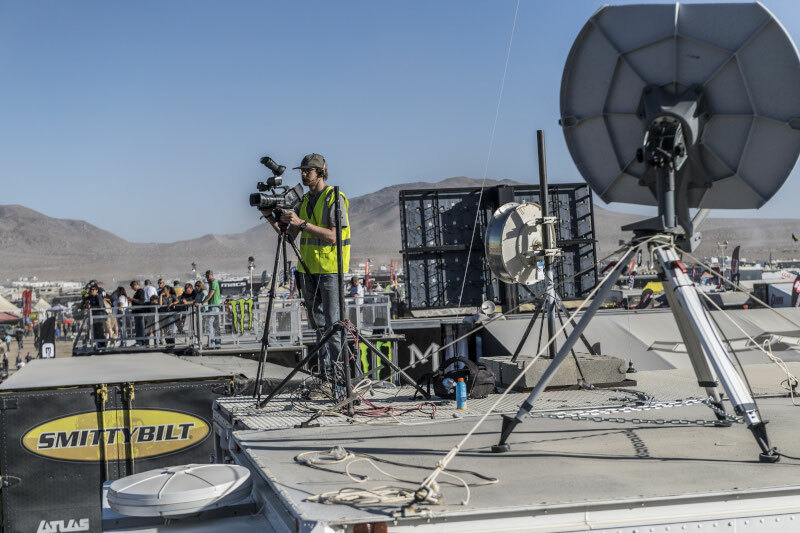 Here, the video production team works offer to the numerous Ultra4 fans from around the world a live broadcast of the King of the Hammers, the Everyman Challenge, the UTV race, the Shootout and the King of the Motos. To make this possible, in addition to a large team of specialized people, it is necessary to have huge technical resources because the area of the competition is very vast and that it does not have 4G telephone coverage. The transmissions take place thanks to a satellite connection. The antenna is located on the TV production truck, which has a big diesel generator just for its operation. This truck is the true center of the whole operation. 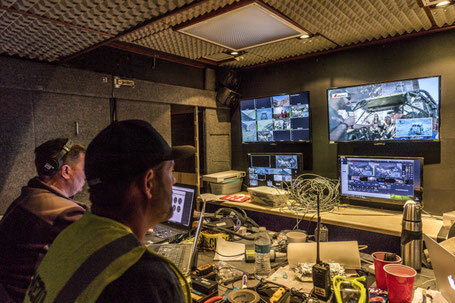 Inside the truck, there is a team of 7 people led by the director Timothy Coyote Cote. 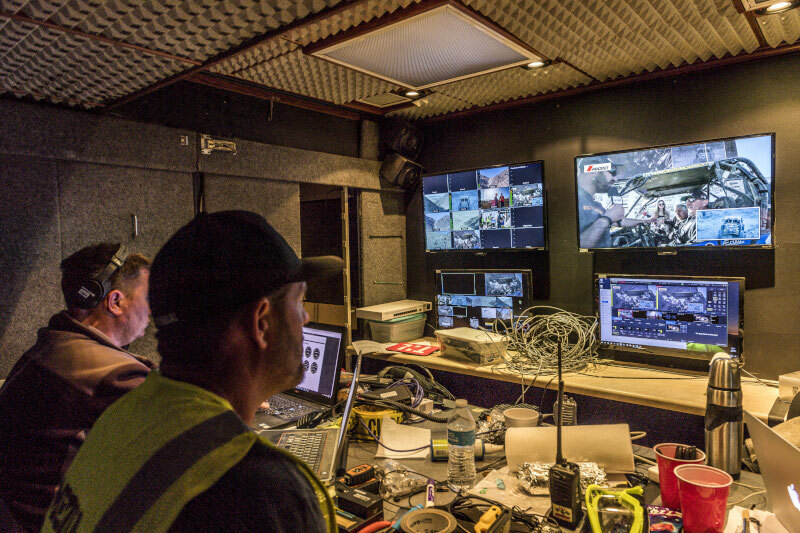 He is who scrutinizing the PC that gives him the positions of the vehicles in the race and the numerous screens with images from the various external locations. 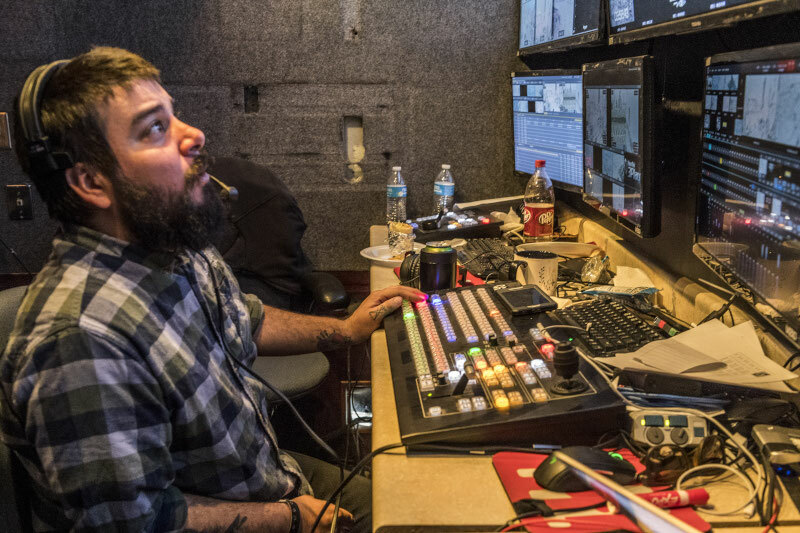 Timothy directs the shots and selects the best action to broadcast live. Timothy's assistants manage cameramen, helicopters and drone pilots by telling them what to film and which car to follow. 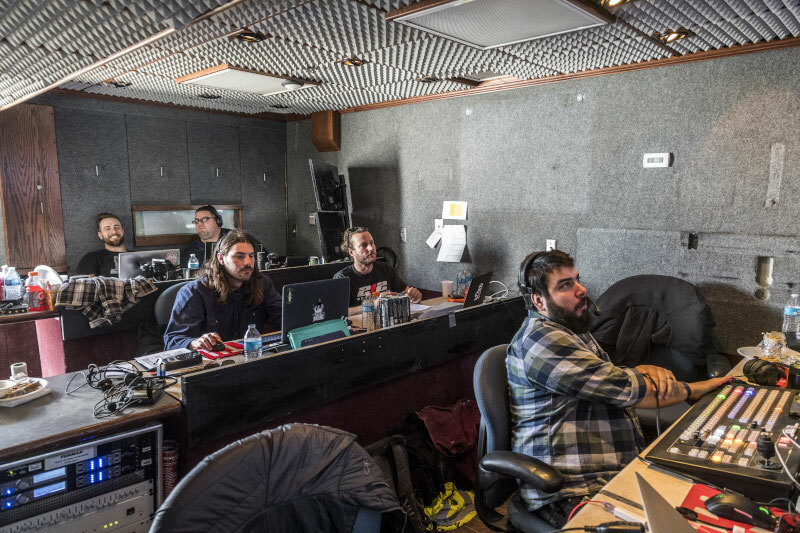 At the same time, some members of the production are responsible for creation of replays, slow motion and advertising inserts that are transmitted. 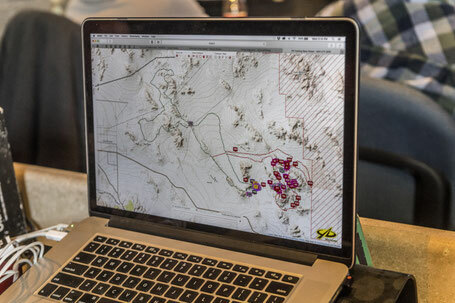 Forty cameramen including 4 drone operators are in the desert, in the most spectacular areas such as BackDoor, Chocolate Thunder and Jackhammer. Some have fixed locations while others are mobile and can move as needed. Even the sky is the protagonist! In fact, there are two helicopters that send their footage for the live. 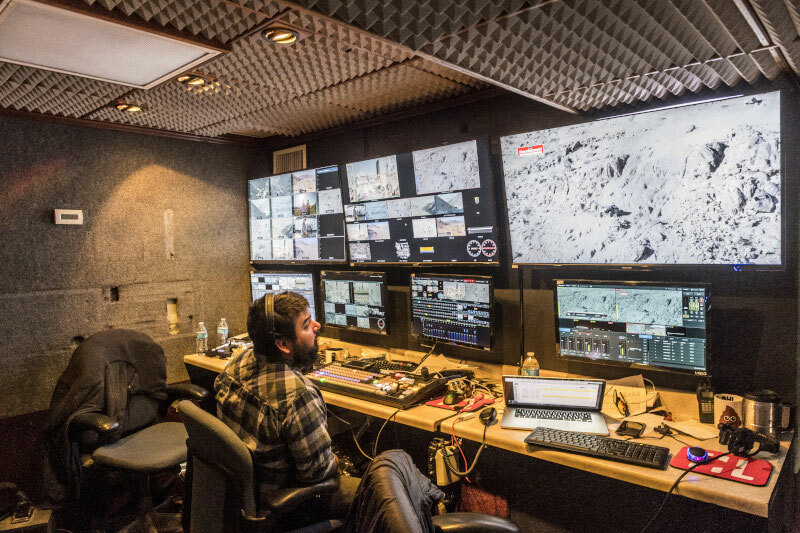 The connection between the production truck and the various stations is made possible by a multitude of small antennas and repeaters installed, almost a month before the race, at the highest points of the Johnsson Valley. Many cameramen, especially those operating in the start/finish area, work with a heavy backpack that accommodates the mobile transmitter and antenna. 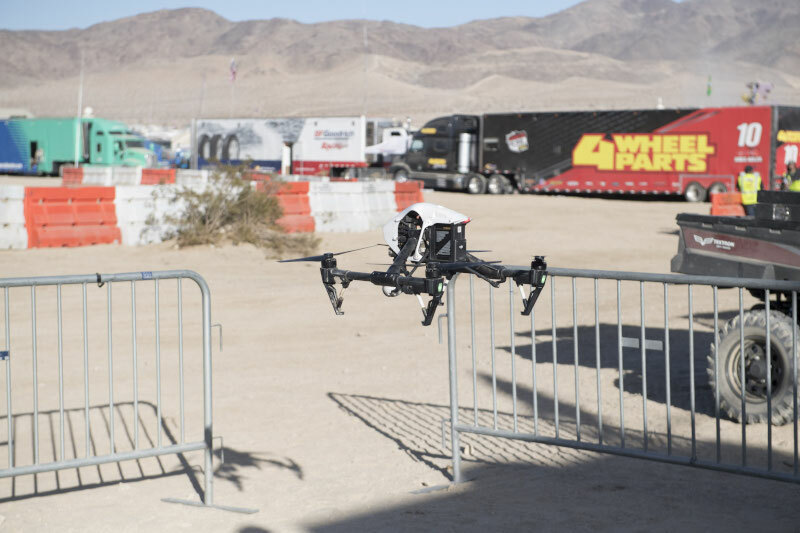 Thanks to this huge "machine" it is possible to follow the King of the Hammers live from home without being afraid of losing the most important moments of the race. All the material produced by the operators during the KOH Week, it is used for the official DVD and for TV channels, such as NBC, which will broadcast specials dedicated to the event.